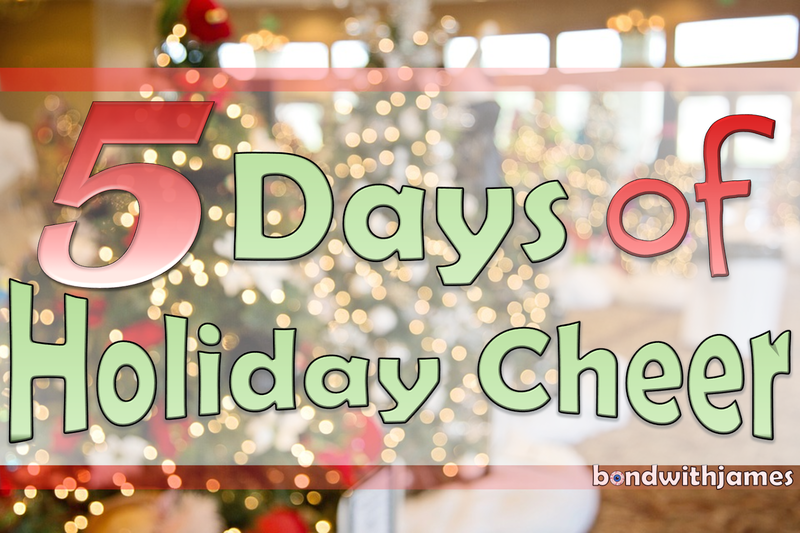 Don't miss out on the remaining "5 Days of Holiday Cheer" dates! The best way to learn about what's going on is to subscribe to my newsletter, http://bit.ly/bwjnews. If you've been participating, there's an opportunity to win a $50 TpT gift card (see comments in the FB LIVE video below). 5 Days of Holiday Cheer! The holiday season is among us! First, I want to say thank you to everyone that has supported my work as Bond with James throughout the 2016 school year. As a way to celebrate, I am participating with a group of fantastic secondary sellers in a week long holiday cheer of freebies, giveaways, discounted items, and much more! What is the "Holiday Cheer" event? Well, from December 12th through December 16th, I will be offering a special holiday gift every day - ranging from freebies to discounted prices of particular items. Individuals signed up to my email subscriber list will receive an email describing the holiday gift for the day. If you are not subscribed to my email list, then click here to sign up immediately so that you do not miss out on the holiday fun! Don't worry - this will be one of the rare times where you will receive an email from me on a daily basis (from December 12th - December 16th). I hope you enjoy the gifts I have in store for you! Happy Holidays! Let's Unwind with Candy DNA! I just covered DNA structure and replication. 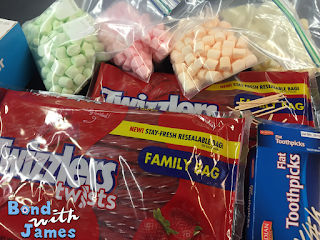 I wanted to do something that would be hands-on, but at the same time be quick and easy for them to grasp (considering the fact that we are nearing the end of the semester). I remember I came across a fun activity on the Internet years ago called, "Have Your DNA and Eat It Too", from the University of Utah. The activity comes with resources and an activity that requires more than what I wanted; however, I modified the activity to fit it within a 90-minute block period. 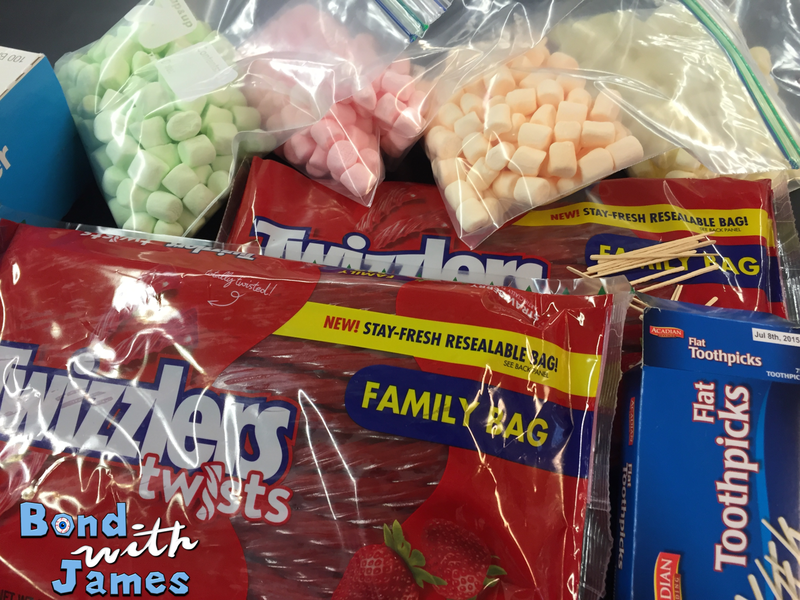 The materials can be bought at your local grocery store: Twizzlers (or licorice), colored marshmallows, toothpicks, and tape (I used Post-It notes in conjunction with the tape). 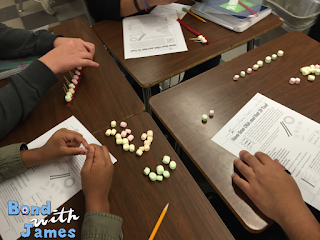 The activity required that each student obtain 9 of each colored marshmallow and 12 toothpicks to create 1 DNA molecule (although, they didn't use all the marshmallows as directed). 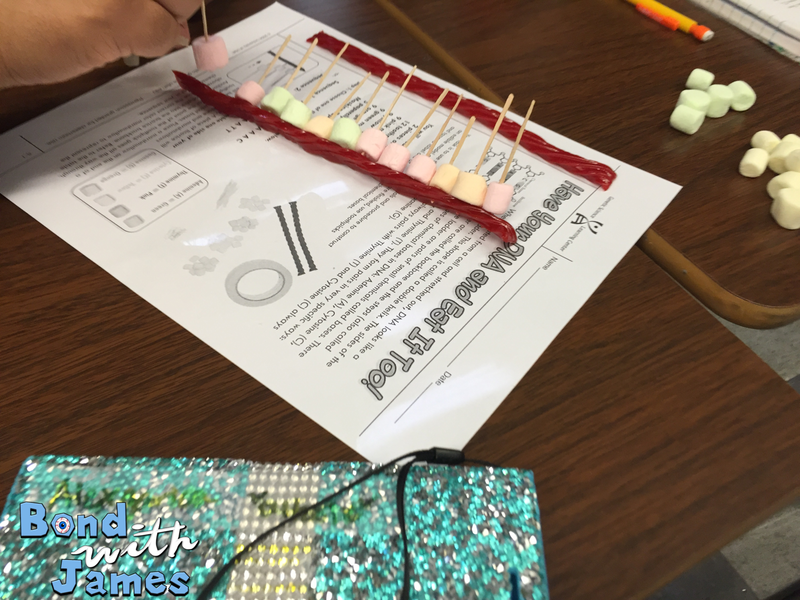 Therefore, I had students pair up in order to help me save resources since I had to purchase the materials myself. The activity is pretty straightforward as it provides students with instructions on how to construct their DNA molecule. 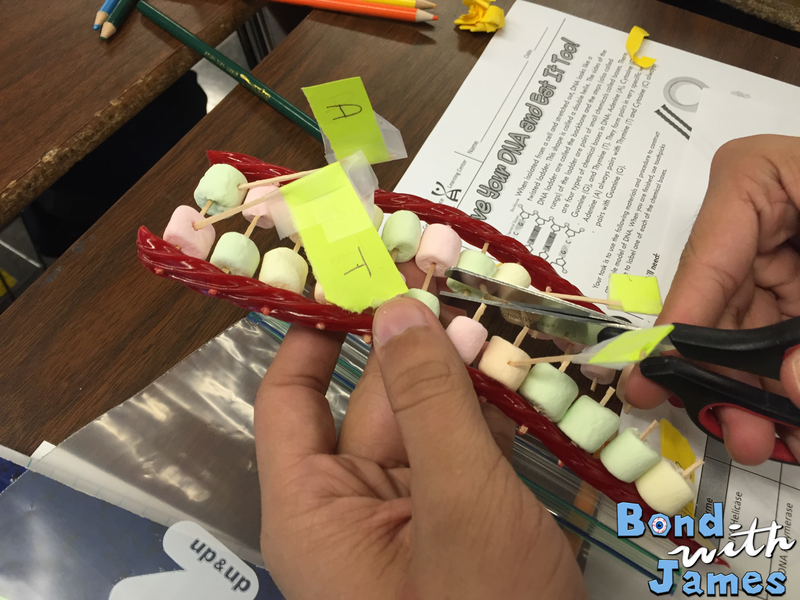 Even though the activity mentions base pairing in the introduction, students do have to have an understanding of how it works in order to generate the complementary strand from the information given to them. 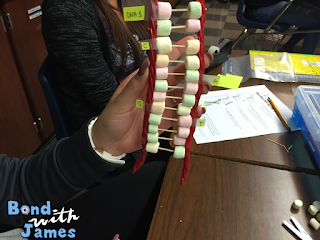 After the DNA molecule was constructed, students were able to twist the DNA model into the characteristic double helix shape; which they thought was "dope" as seen in the video below. Students then labeled the phosphate, sugar, and 1 of each of the bases. The activity calls for masking tape, however, I used Scotch tape and Post-It notes as a substitute. Once all pairs were finished, I briefly spoke about DNA replication; at which point I had students model part of the process by using scissors to act as DNA helicase to unzip the DNA strands. In the future, I may actually have students construct the complementary strands from the leading and lagging parent strands. However, the students were all able to do well on an exit slip and a quiz that I provided, so the activity worked out in the end. What are your thoughts concerning this particular activity? Have you tried it before? If so, leave a comment below and let me know how it worked.